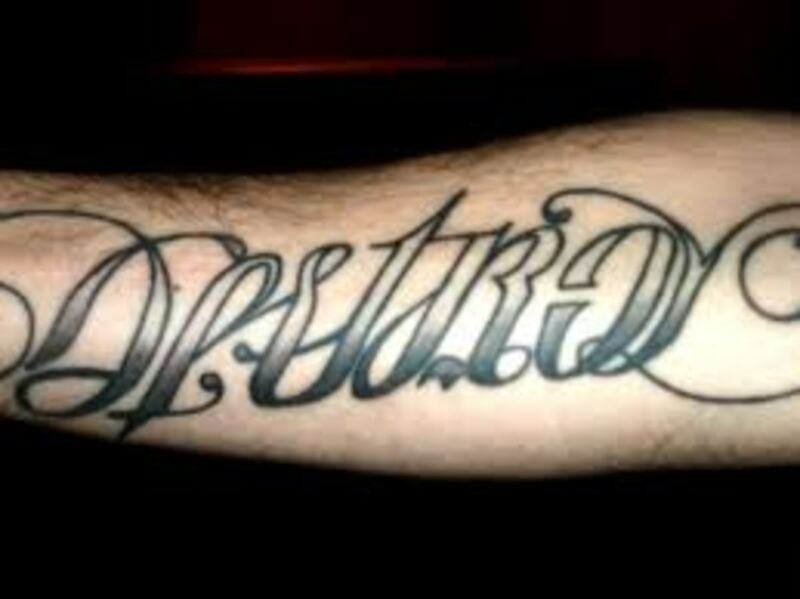 One very unique tattoo that you may want to consider is the ambigram tattoo. 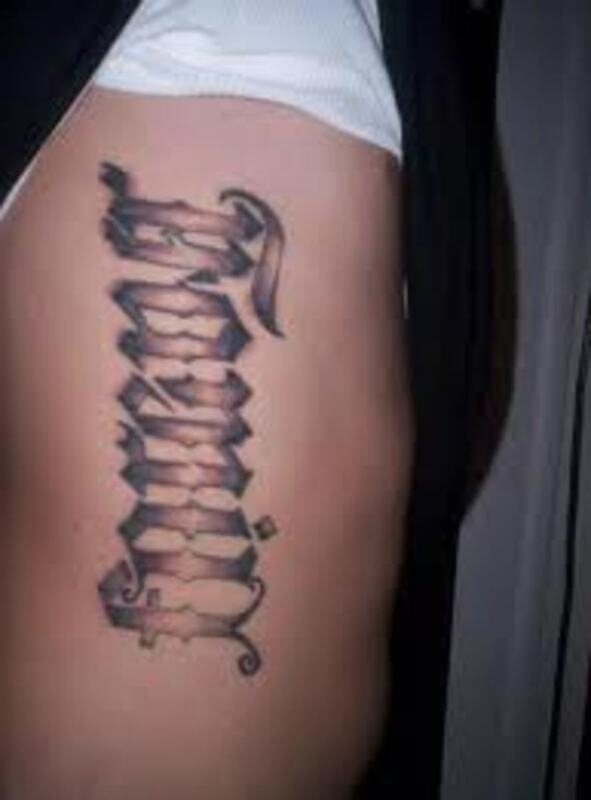 Ambigram tattoos are worn by both men and women. 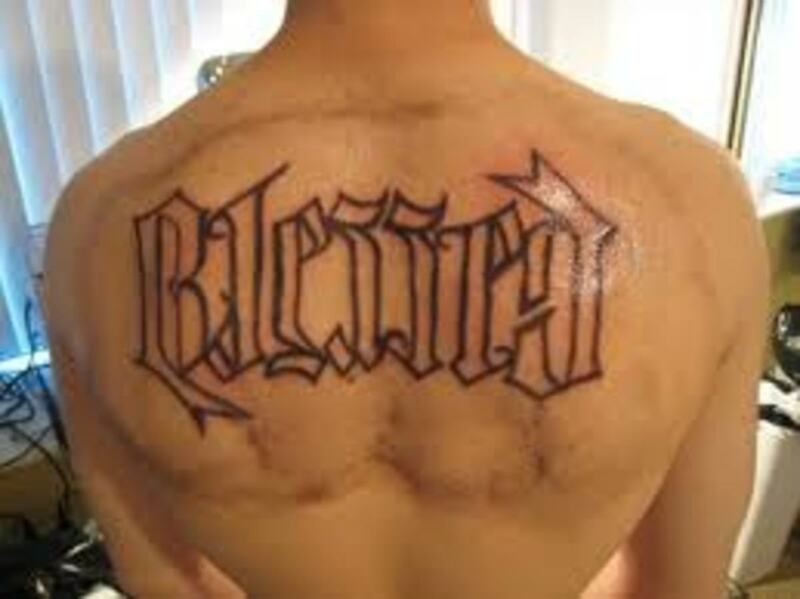 Ambigram tattoos are very unique and truly one of a kind. 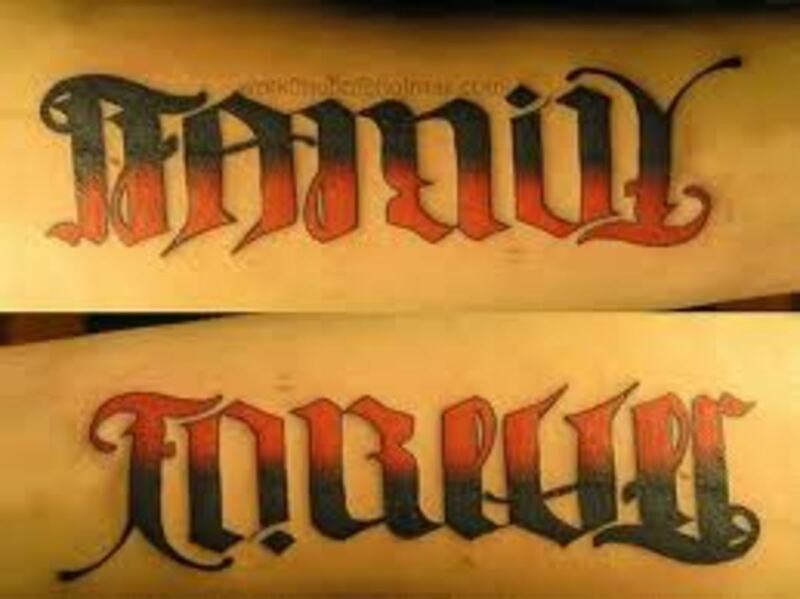 As you will learn below, ambigram tattoos contain two different words in one single tattoo design. 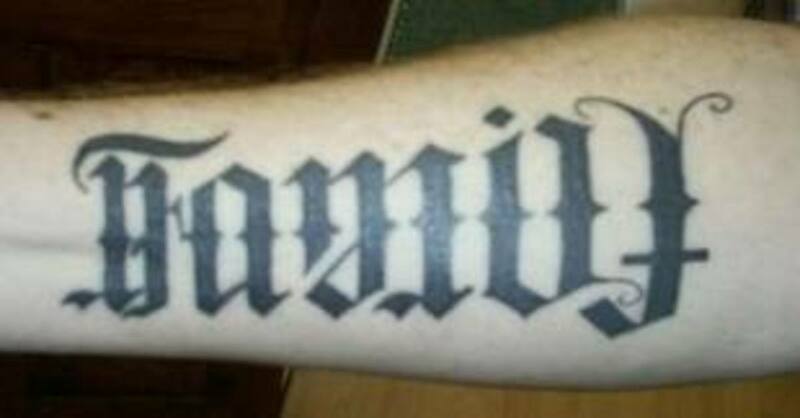 If your looking for a unique and interesting tattoo, the ambigram tattoo may be for you. 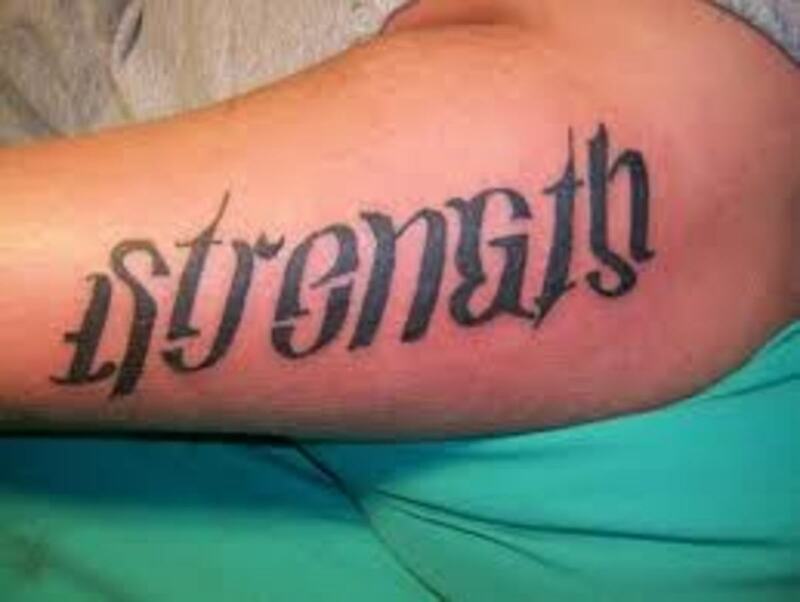 Most of the words used in ambigram tattoos are positive. 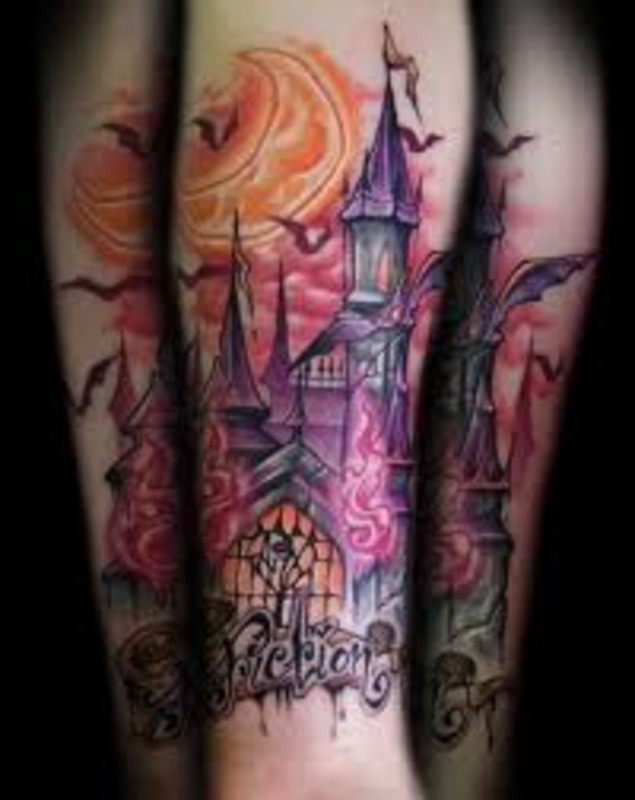 In this article, we will discuss ambigram tattoos and ambigram tattoo designs. 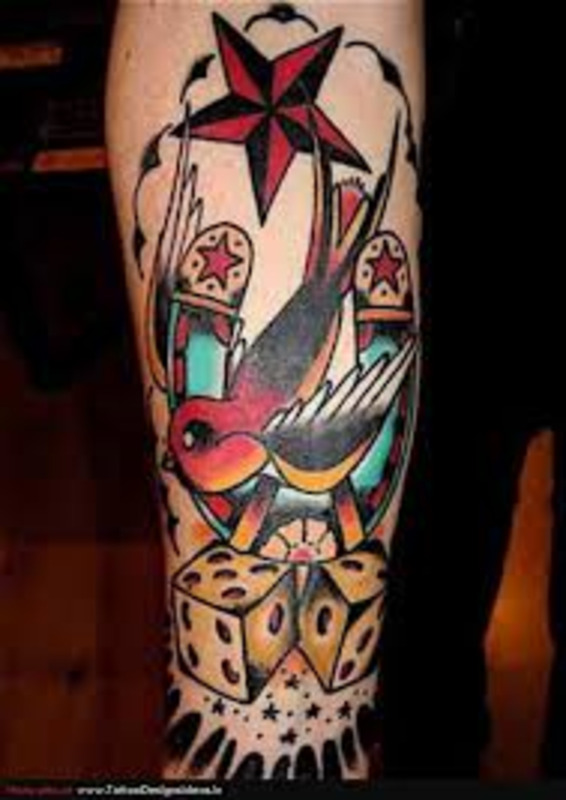 We will take a look at all the different combinations used in amigram tattoo designs. 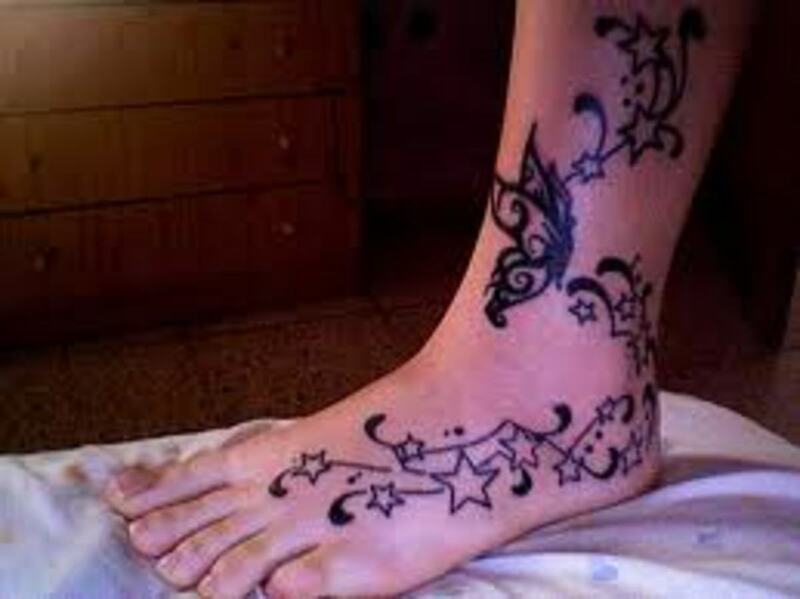 In the end, we hope that you are able to find ideas and inspiration for your own tattoo. 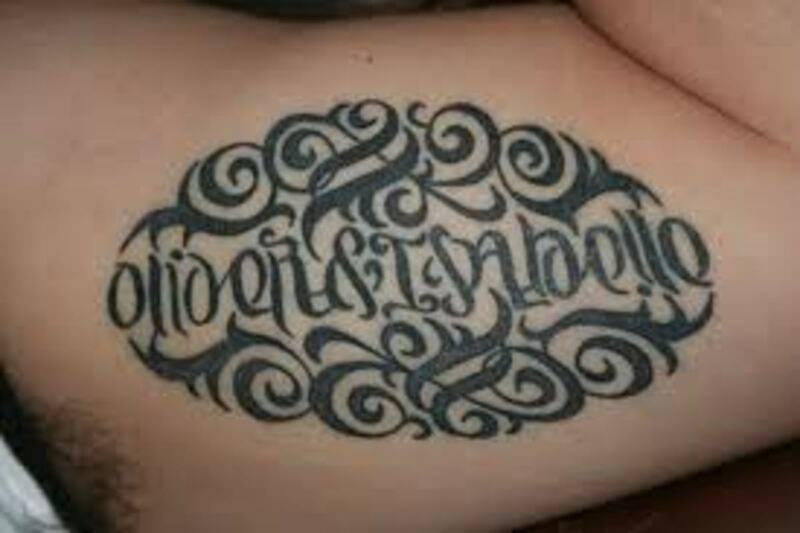 Some of the most interesting tattoos in the world are ambigram tattoos. 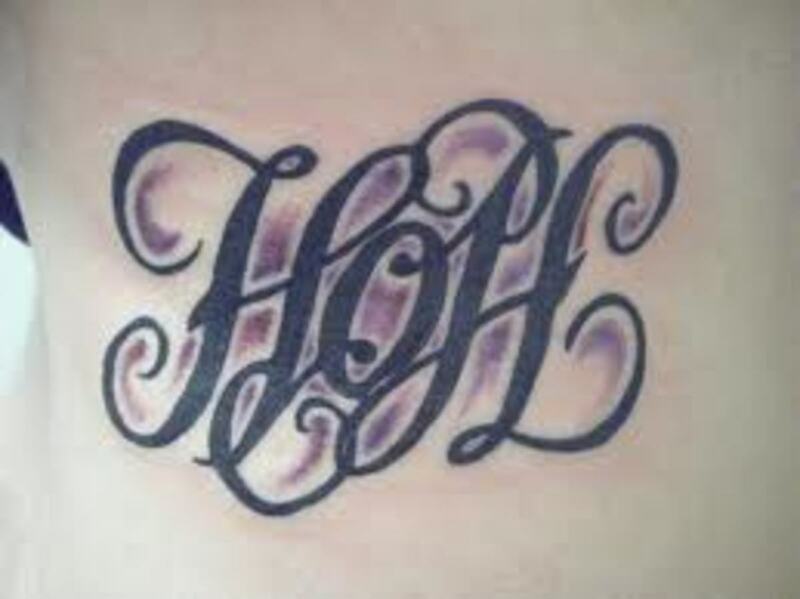 Ambigram tattoos are popular among both men and women. So, what is an ambigram? An ambigram can read one word from one view and read another from another perspective. An ambigram can be designed to read the same word in opposite directions. 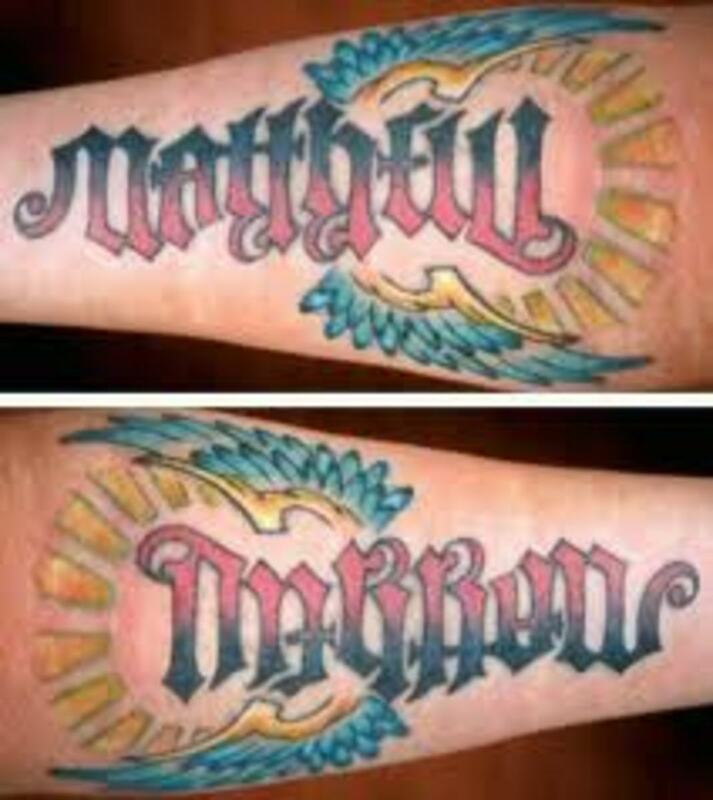 The ambigram tattoo on the right is a great example to use. Take a close look to the picture. 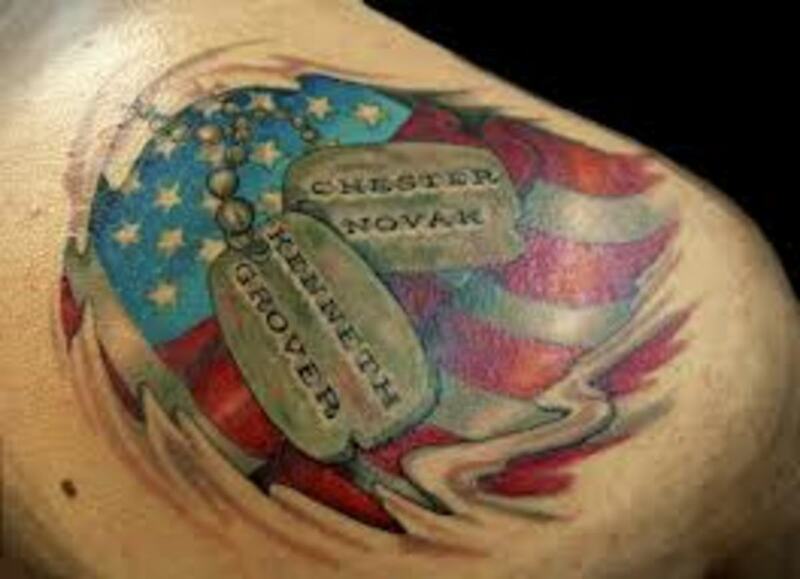 Keep in mind, this is the same tattoo, only it is viewed in two perspectives. In the top view, you can clearly see "Saint". 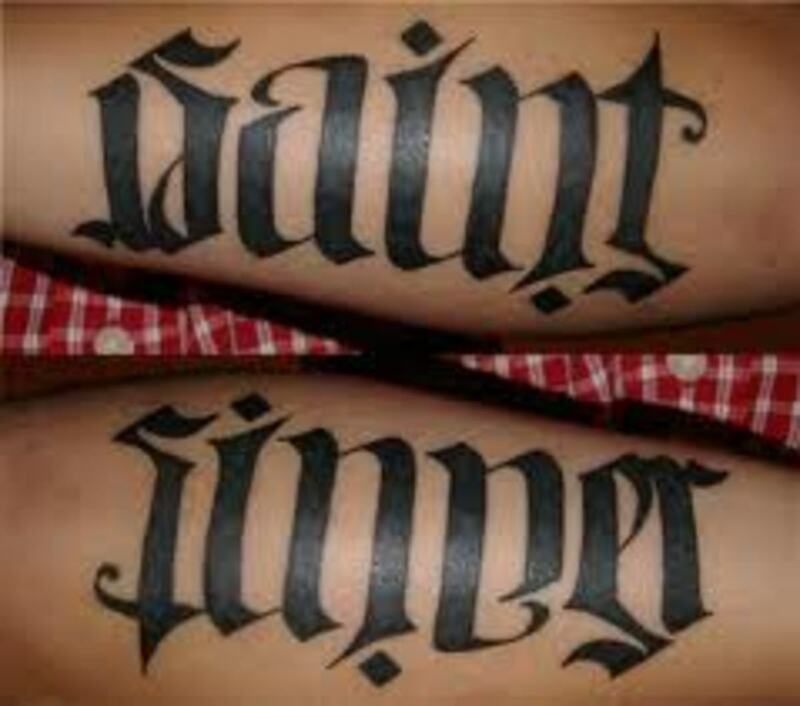 However, on the bottom, it reads "Sinner". 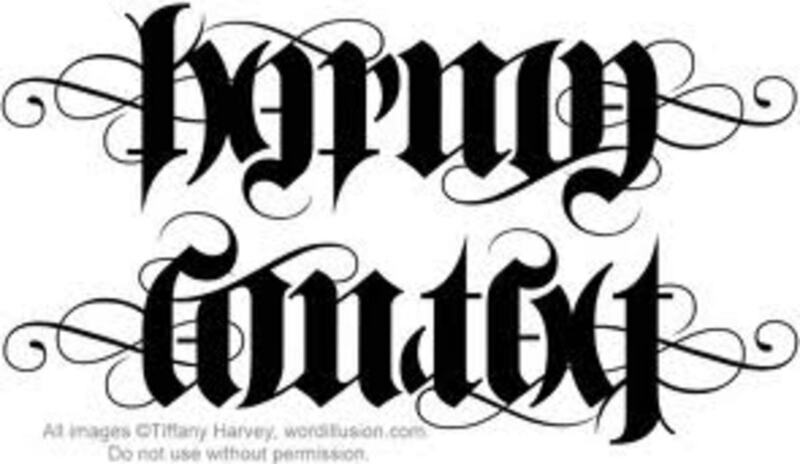 This is an ambigram. 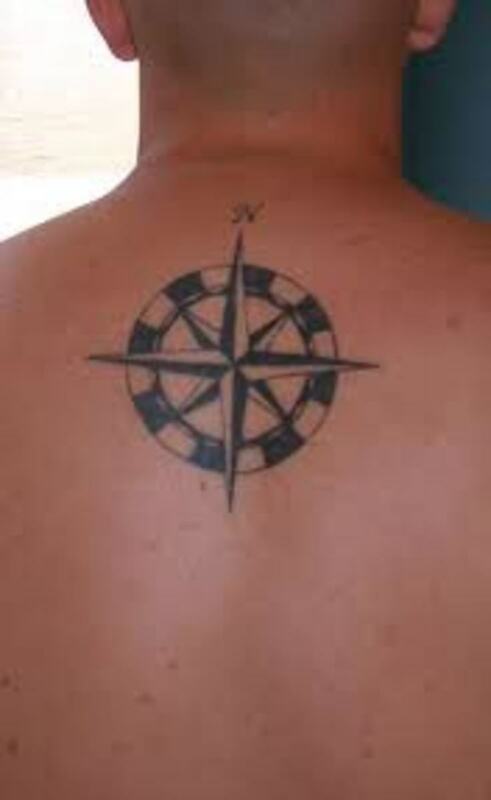 This is the same tattoo, just viewed in opposite directions. An ambigram is actually an art form that can read one or more words as it is presented. When it is viewed from another direction, it can read the same word or a different word. The earliest record of legit ambigrams date back to the 1890s. Peter Newell published two books on ambigrams, one in 1893 and another in 1902. 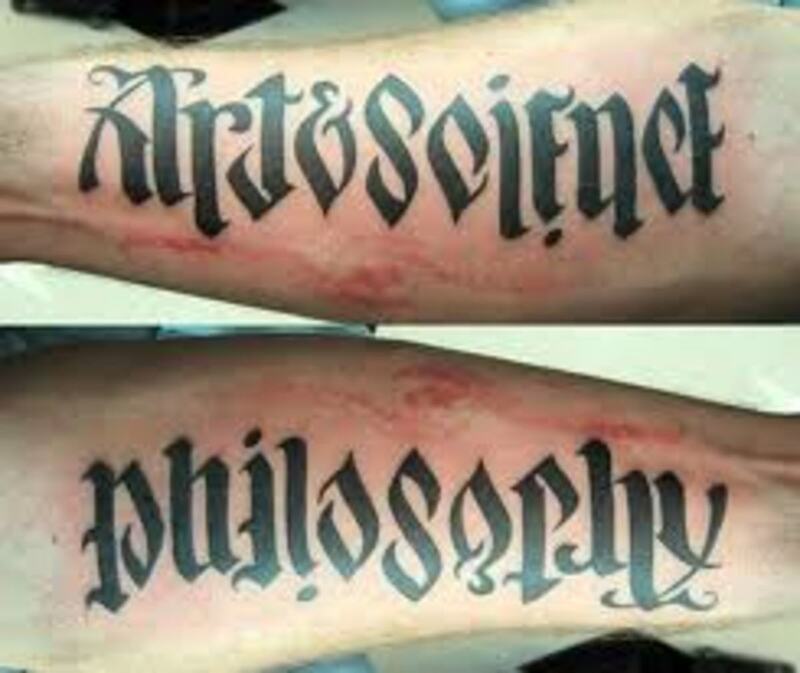 The tattoo on the right is another great example of an ambigram. Are you able to see the two words presented? 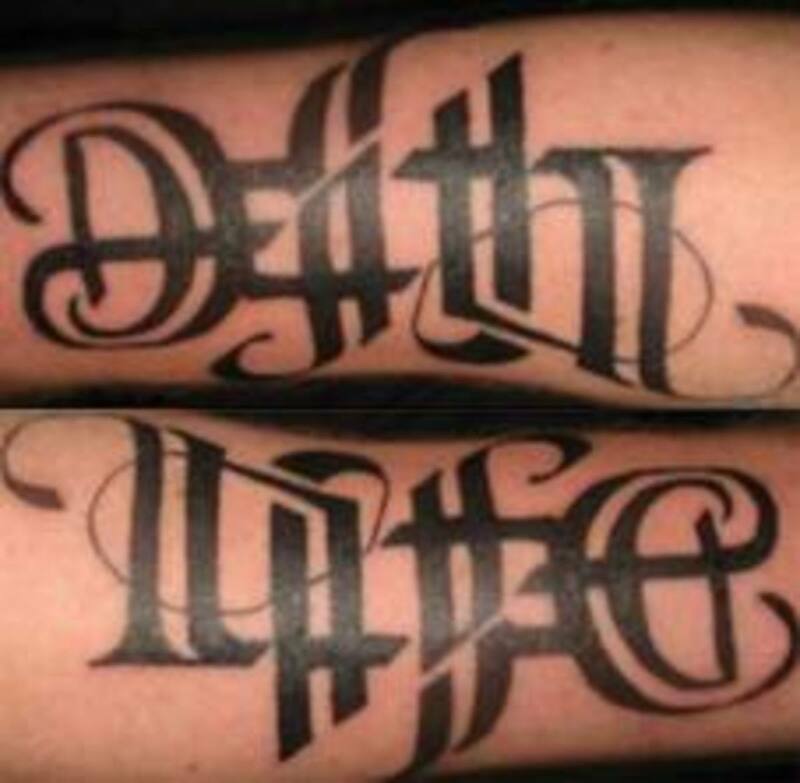 It can be a little difficult, but the two words on the ambigram tattoo are death and life. 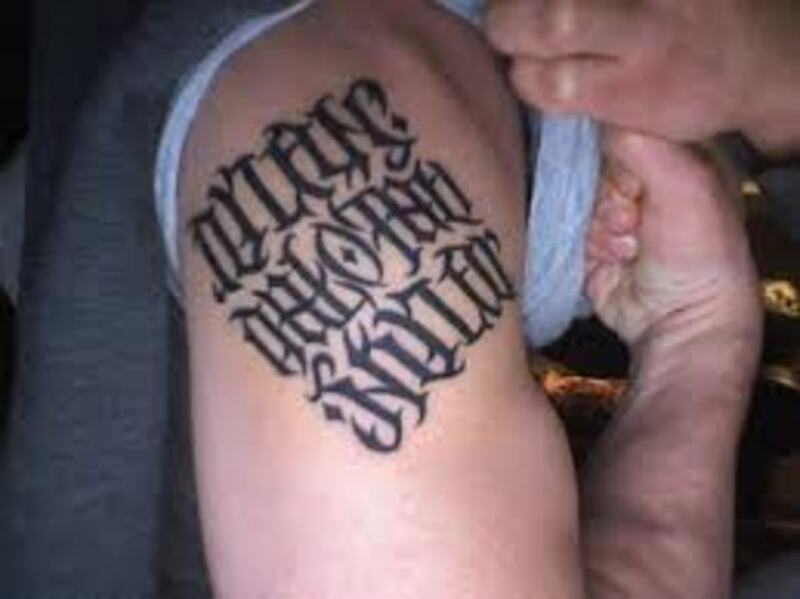 Some ambigram tattoos can be difficult to read because of all the art work that is needed to create the words. 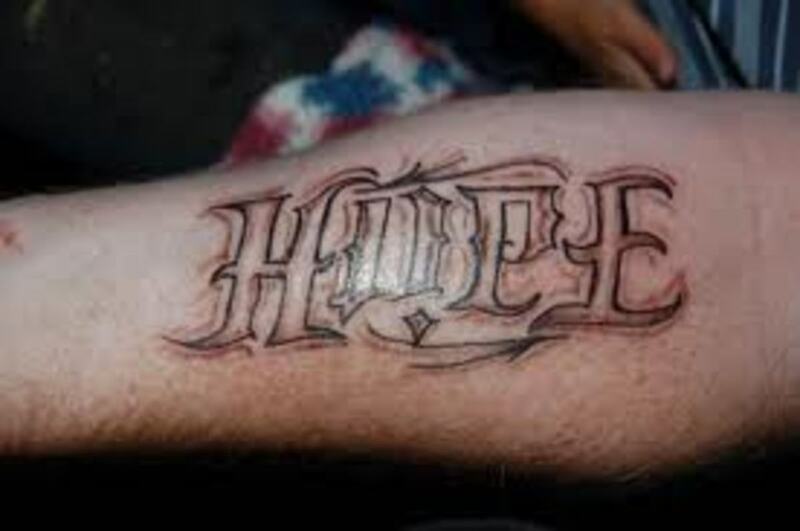 Some ambigram tattoo designs will be easy to read while others may be much hard to read. 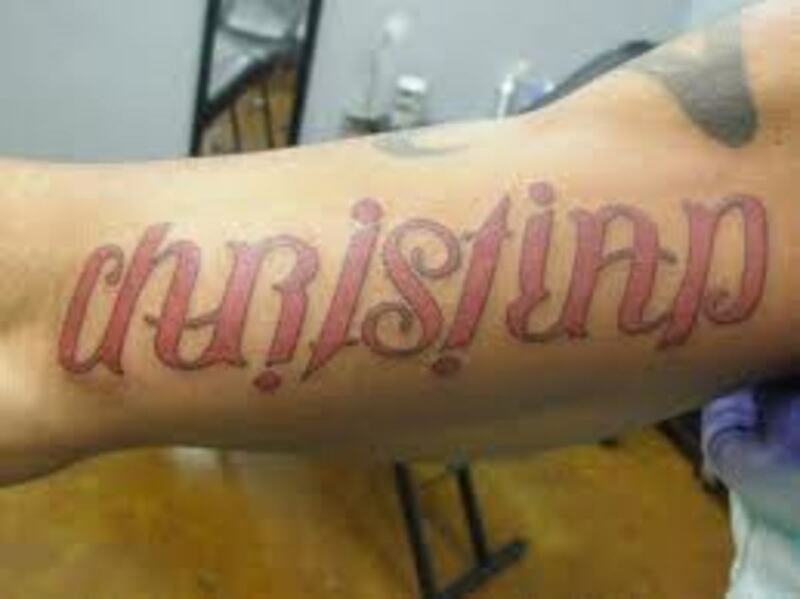 I mention this to you because it may determine which words you get in your ambigram tattoo. 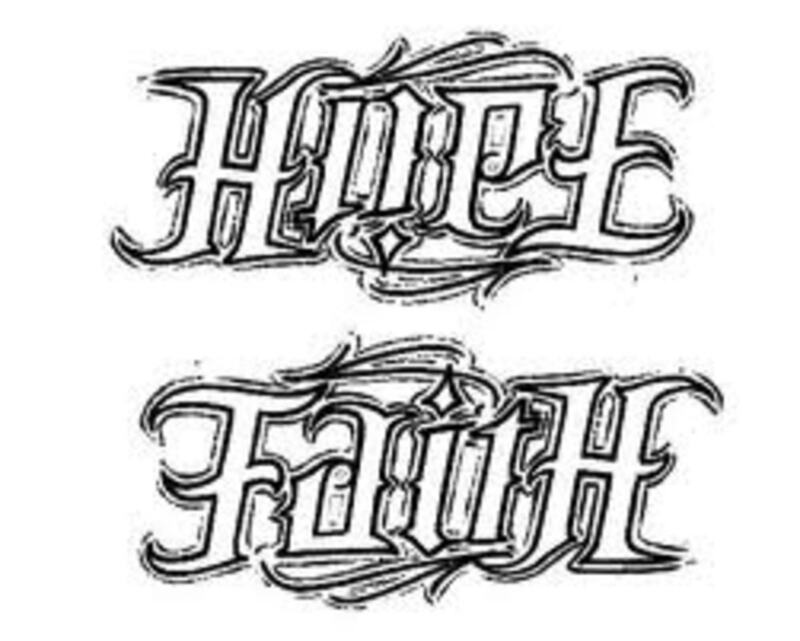 The tattoo on the right is another popular ambigram tattoo choice among men and women both. 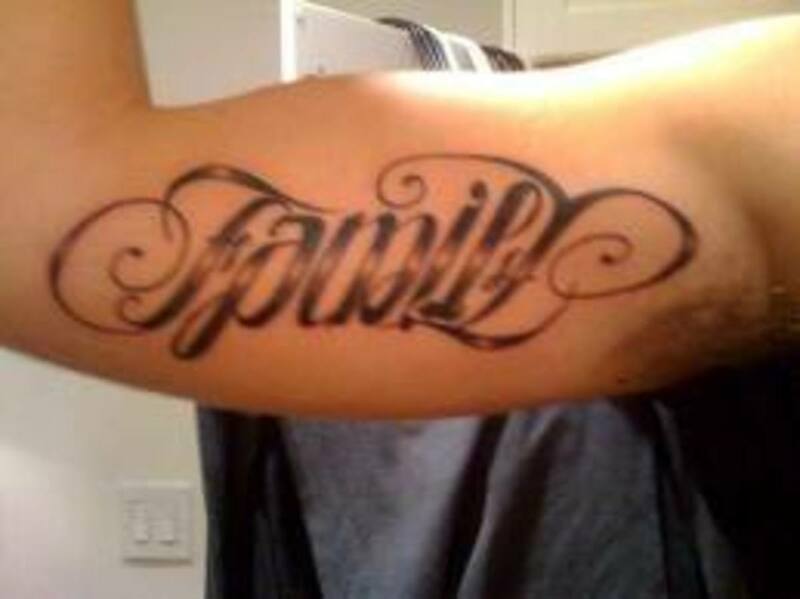 This ambigram tattoo has the words Family and Forever. 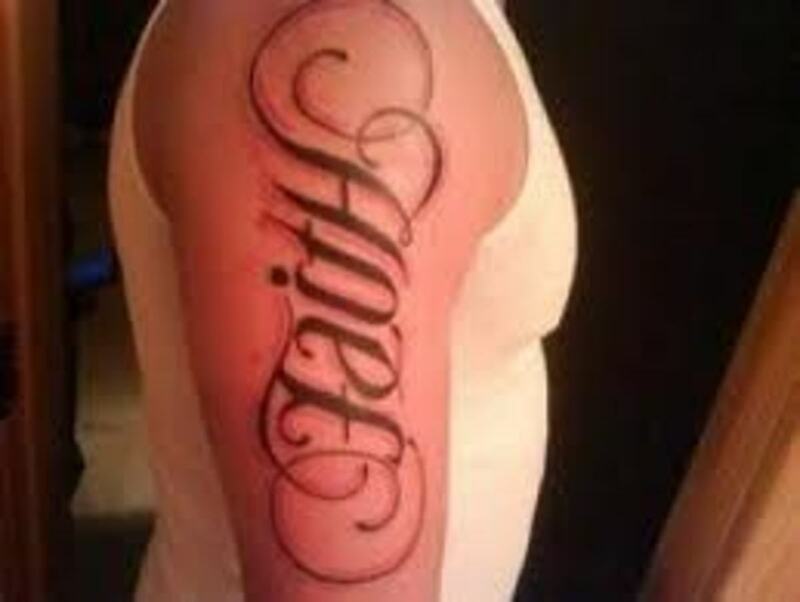 When it comes to ambigram tattoo designs, there are several different words that are used. You can read some of the more popular choices later in this article. 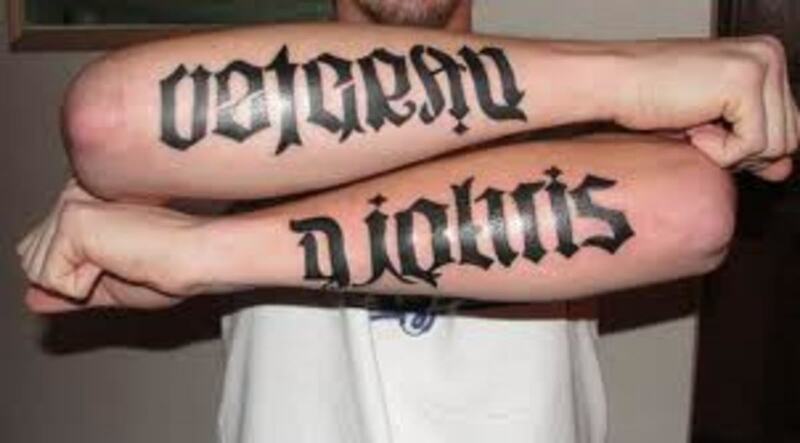 The ambigram tattoo on the right is yet another example of the many words that are used for ambigram tattoos. One view reads Art & Science and the other view reads philosophy. 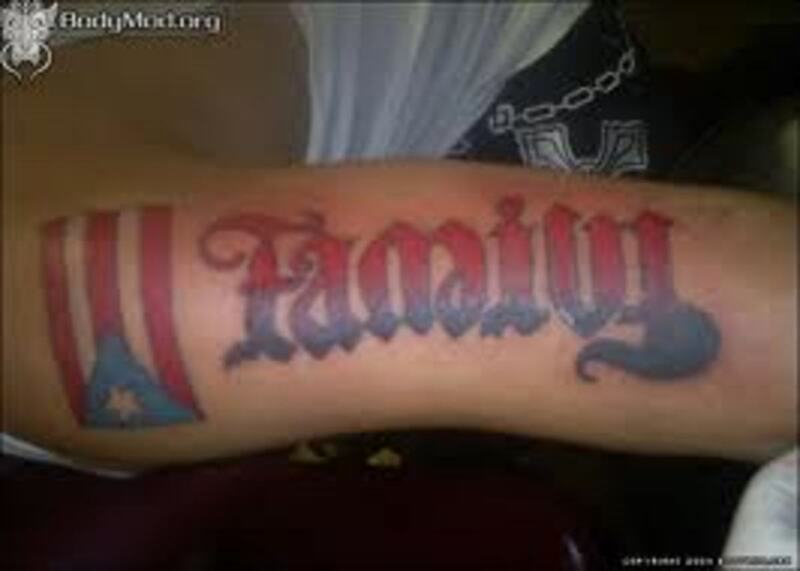 Keep in mind, this is the same tattoo. 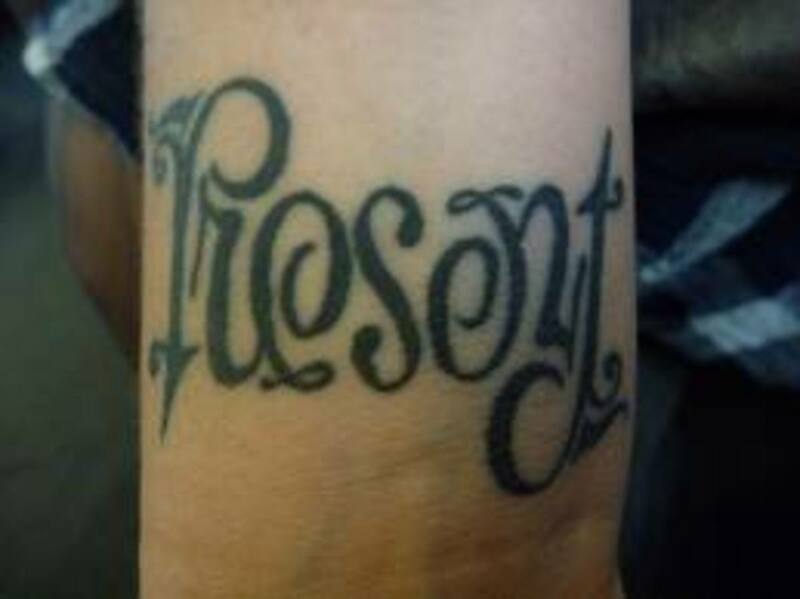 This is just another way ambigram tattoos are designed. 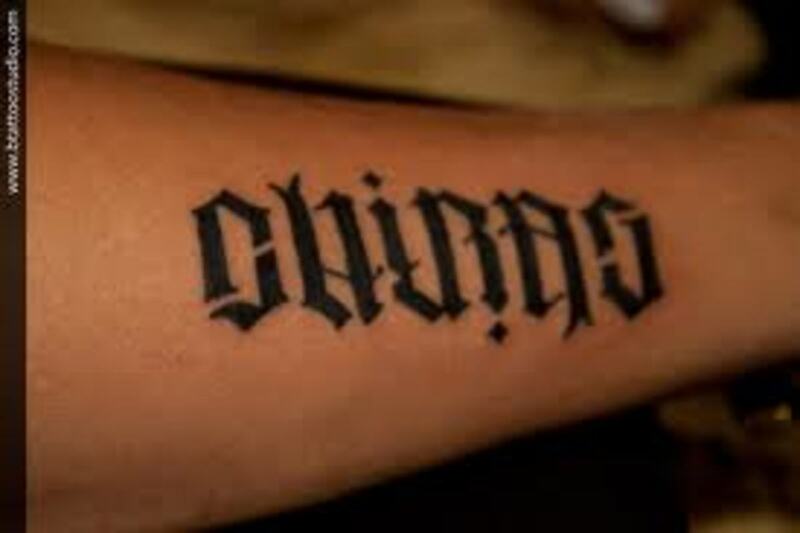 Below, you can find the most common words used for ambigram tattoos. 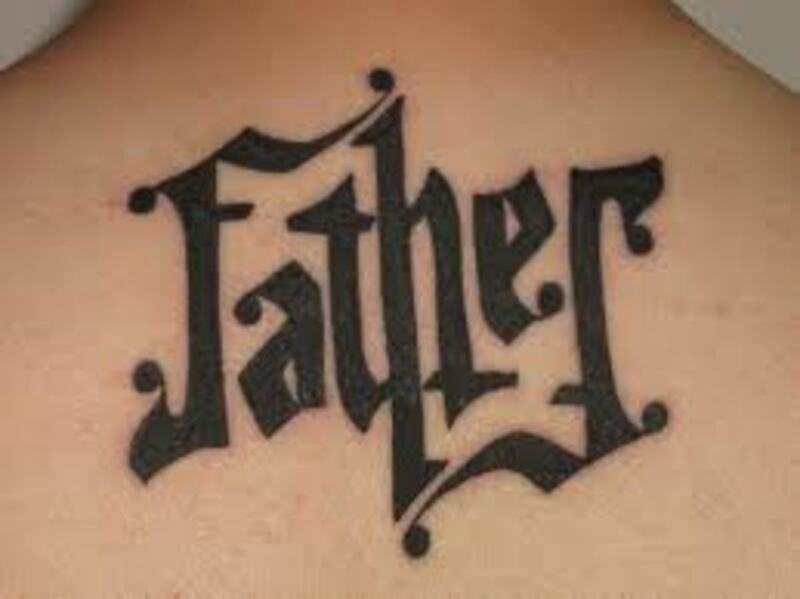 The first group of words are commonly chosen for ambigram tattoos. These are more then one word. The second group is known as mirror-image ambigrams. This is when one word is read from one view and when read from another view, the word is different. The third group is single words that are chosen for ambigram tattoos. 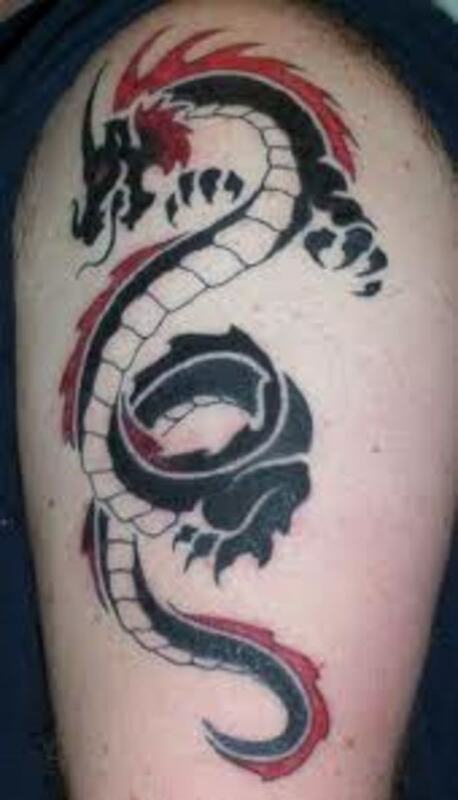 Before you choose your tattoo, make sure you take the time to research your tattoo. 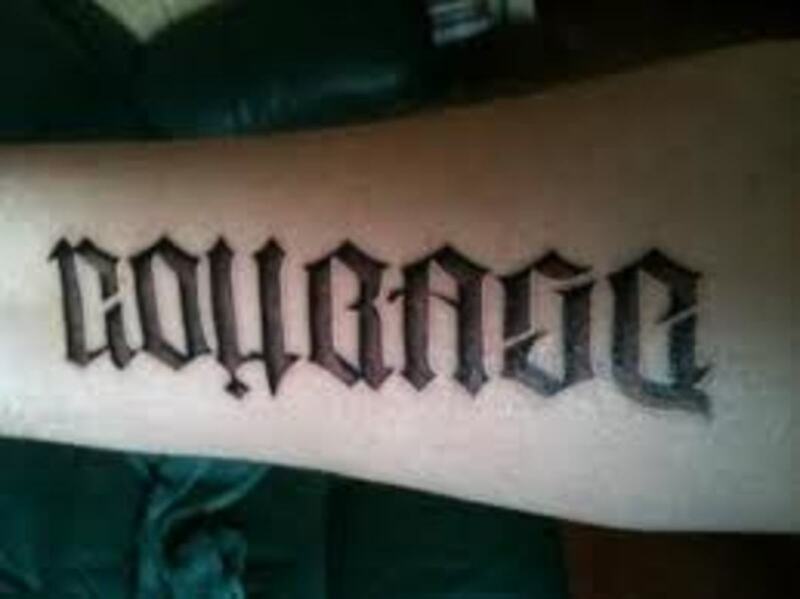 If you wish, you can go to www.tattoobase.com and create your own ambigram tattoo. 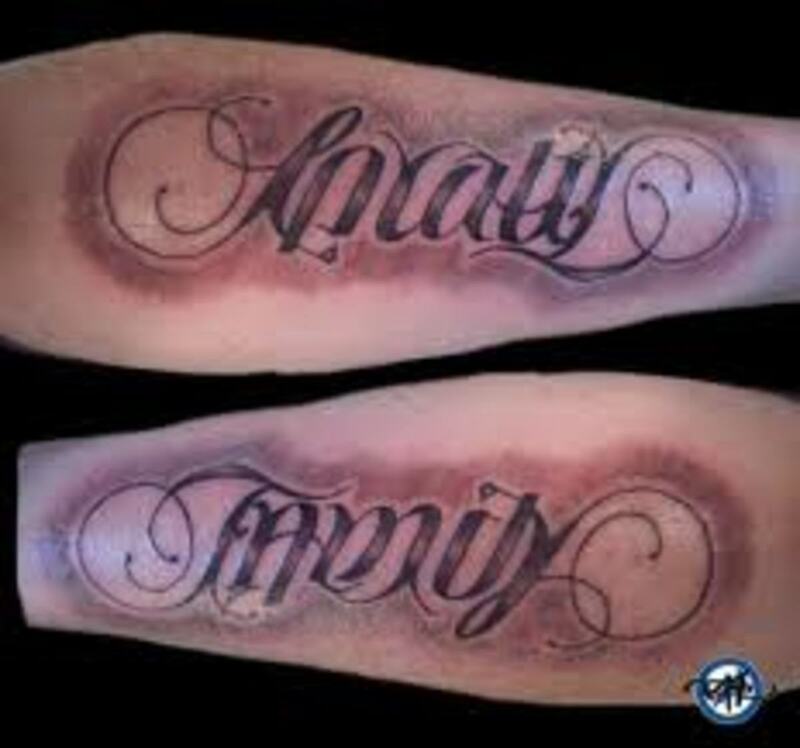 It is a great site to use if you want an ambigram tattoo. 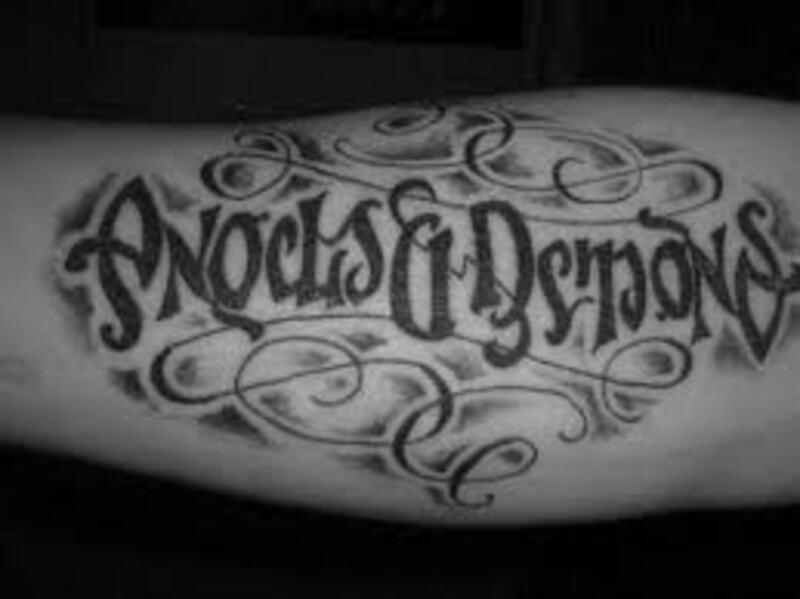 If you want to view more tattoo designs, ideas, symbols, and meanings, be sure to follow the links below. Thanks for visiting. Endless Sea, thanks for taking the time to comment and vote. Many thanks. 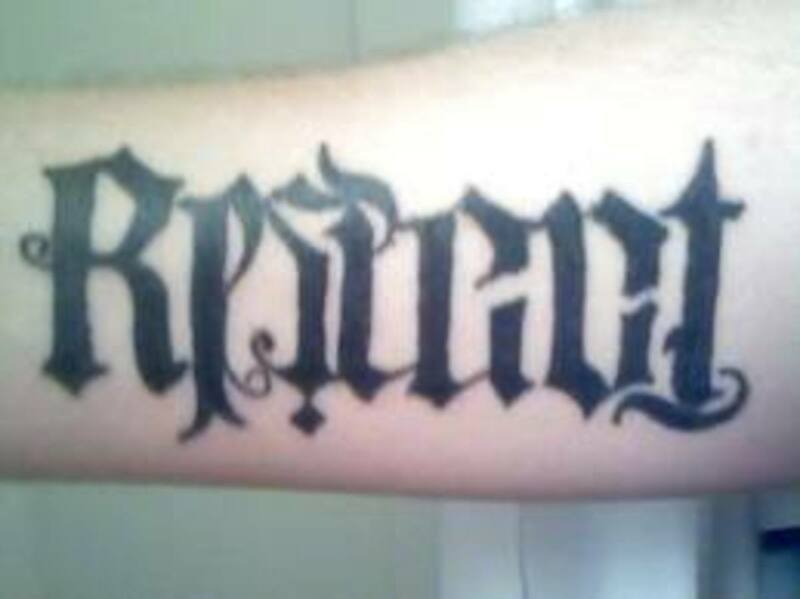 The ambigram makes for an awesome tattoo. Love the whole idea about them. This i've never heard of, how clever and skillful..Thank you..
Tattoos are beautiful art. It is an expression only a few can appreciate. I for one don't like to have such thing , actually it appears like a dirt to me. Why not find a paper , why use our holy body..
Congratulations..you did it again..very informative as usual. I really feel after reading ALL the hubs on the subject " Tattoos 101" educational, and now when I see a tattoo I will better understand body art..thanks for sharing...voted up ! I am with Frank. Your Hubs are fascinating and on this one the explanations came in handy. I had trouble reading the script on some of the tattoos. People are so incredible creative and talented. I think you should consider a book about tattoos. It would be interesting and most likely sell well. You could display it at tattoo shops and share profits with the owners. That is pretty amazing and unusual, I haven't seen anything like this in real life but I heard about it, looks cool and mirror image is an interesting idea. This is very interesting. I love the idea. I have always been interested in things that are contradictions of themselves. Like butterflies. Everyone loves how beautiful they are but if you look at one up close they are a creepy looking bug, with pretty wings. 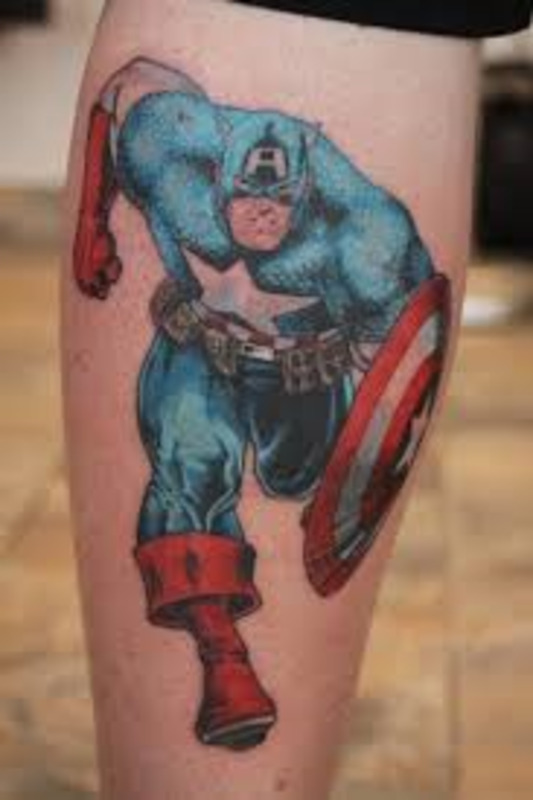 Not quite sure why anyone would want such a tattoo. But another great job and an interesting read.